The Widow is a Nod Offense Class heavy vehicle in Tiberian Twilight. Available at Tier 3, the Widow is armed with a heavy laser that can cut through heavy units with ease. It is the Offense Class's hard counter to the Mastodon. It is very heavily armoured and can burrow using a drill mounted behind its laser turret. It is approximately the same size as the Mammoth tank. Each Widow may be garrisoned by up to 4 Spider Tanks. 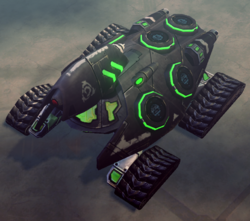 Each Spider Tank increases the Widow's firepower, rate of fire and armour significantly. 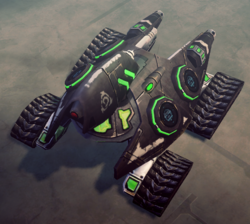 When upgraded with a blue Tiberium core, the Widow can increase its capacity to up to 6 Spider Tanks, in addition a further improved weapon and armour. 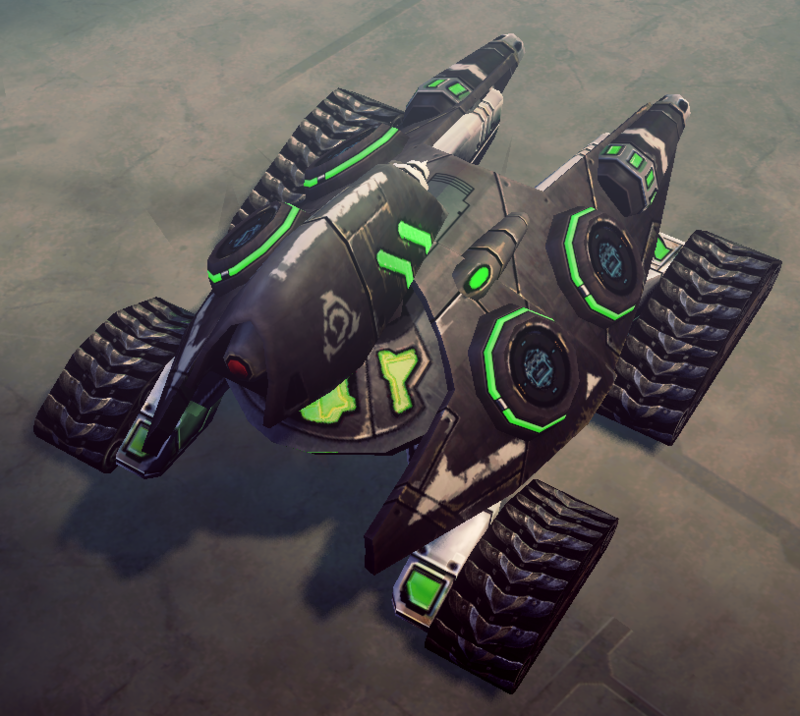 Spider Tanks upgraded with blue Tiberium cores give a greater bonus when garrisoned inside than normal Spiders. When the Widow is destroyed, all the Spider Tanks it is carrying are released to continue the fight. The Widow leaves a husk behind when destroyed, which can be reactivated by an Engineer, or will reactivate itself if upgraded with Backup Systems. If destroyed while burrowed, however, it does not leave behind a husk. As its name suggests, the Widow is piloted by a female. Because the Widow is big and heavy the Widow is slow moveing even when burrowed. Its closest GDI equivalent is the Refractor, which also has heavy armor and is armed with a laser, but doesn't leave a husk when destroyed. The massive Widow was created before the 2062 alliance as a top secret weapons project researched in Alaska. Kane himself was on site overseeing the Widow. The first prototype was destroyed by GDI forces under Colonel Louise James, but the second one in Africa was safely recovered by Nod.It would later become part of the Brotherhood's Offense Class arsenal by 2077. In the game, the Widow is an excellent front-line combat unit. Fully upgraded and garrisoned, the Widow can make short work of enemy heavy units and if it is destroyed the Spider Tanks could continue the battle until reinforcements could be brought in, as well as protecting its husk. An achievement can be earned if the players upgrade 5 widows. When burrowing, it seems to aim its drill Randomly, which must be aimed at the front to drill correctly. This page was last edited on 4 September 2018, at 10:59.